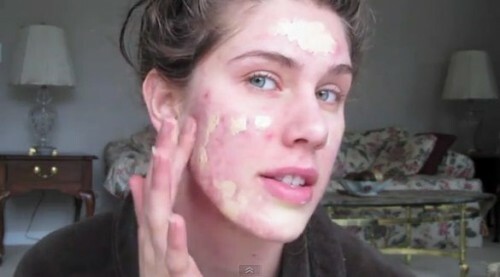 When you’re struggling with acne, you’ll do anything to cover it up, one of the best ways being the use of concealers. 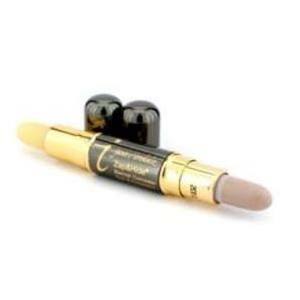 Concealers are designed to cover up blemishes and make your skin look as fine and smooth as possible. But what happens when your concealer is the cause of your breakouts? That’s a recipe for disaster and obviously time for a new concealer. Check out these 10 best concealers for acne that will not only help you look flawless, but destroy acne in its track. Can you guess what this sensational product does? Here’s a hint: it’s in the name. Make Up Forever Full Coverage Concealer has one goal in mind: to give you a flawless finish with complete coverage. 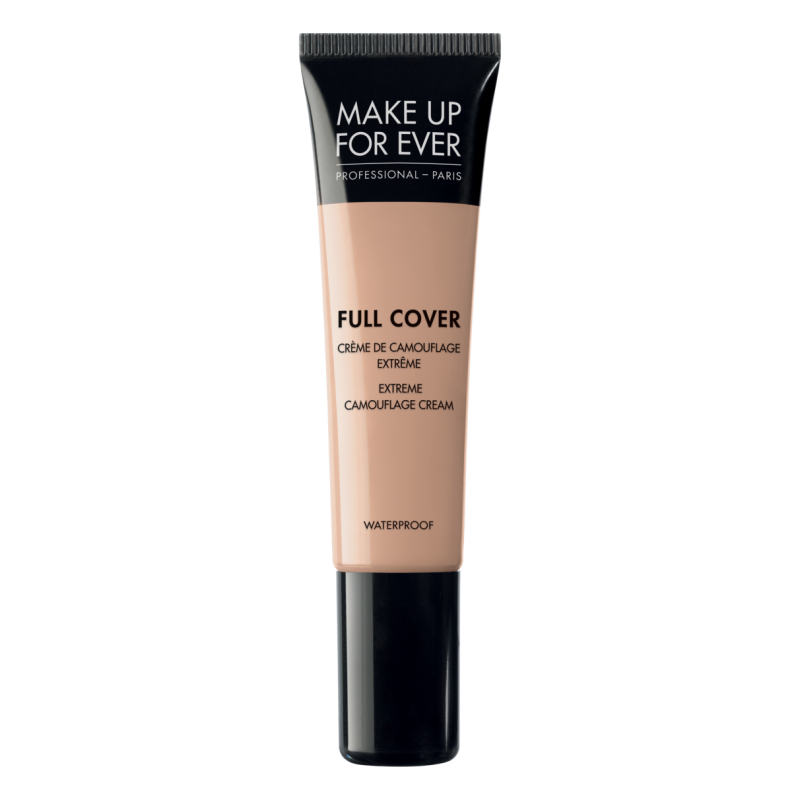 Whether you’re struggling with furious red acne marks or unsightly acne scars, Make Up Forever Full Coverage Concealer has the power to hide this and more with its beautiful matte finish. It’s made completely oil free so you don’t have to worry about pores clogging up, and available in 12 gorgeous and waterproof shades so its easy to make a match. Only 32 dollars and trust us, well worth the price! We can really only describe this concealer with one word: sensational. Not only is it completely oil-free so it won’t clog up pores, but it also contains salicylic acid which has been proven to clear up acne while preventing future breakouts. Wow! That’s a two in one product that every girl should have. The concealer provides a natural look that can be worn alone or underneath foundation, and the added green tint puts redness to an end. Perfect product for 17 dollars! 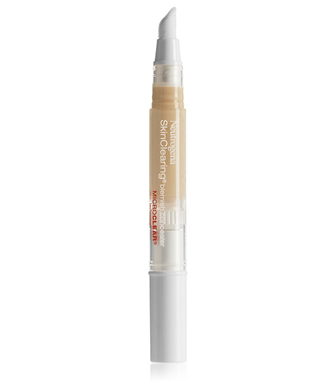 If you want to reduce the appearance of acne in a flash, Neutrogena SkinClearing Blemish Concealer is your answer. This budget friendly concealer is around 8 dollars at most drugstores and you’ll love the way it works! It is totally oil free and non-comedogenic so it won’t irritate skin while the salicylic acid fights off existing acne and prevents future acne from forming. For less than 10 bucks, there’s no excuse NOT to try out this fab concealer. Worried about acne? Worried about wrinkles? Then why not choose a concealer that can fend off both? Cover FX Cream Concealer is a wonderful product that is not only easy on the skin with wonderful coverage, but also has anti-aging benefits that fights off the onset of wrinkles. The result? Beautiful looking skin that is youthful and fresh- and all just for 27 dollars. Users gave this product 4 out of 5 starts, and with over 10 shades to choose from, it’s easy to find the perfect one! 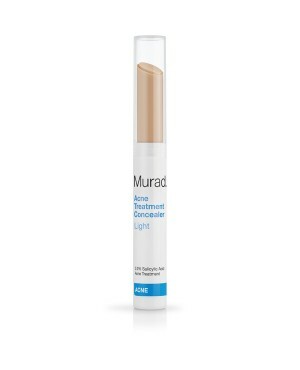 Murad is definitely known for their great acne products, and this wonderful Acne Treatment Concealer is one of them. The unique combination of salicylic acid, vitamin A, and green tea extract fights acne at the source and diminishes future breakouts. 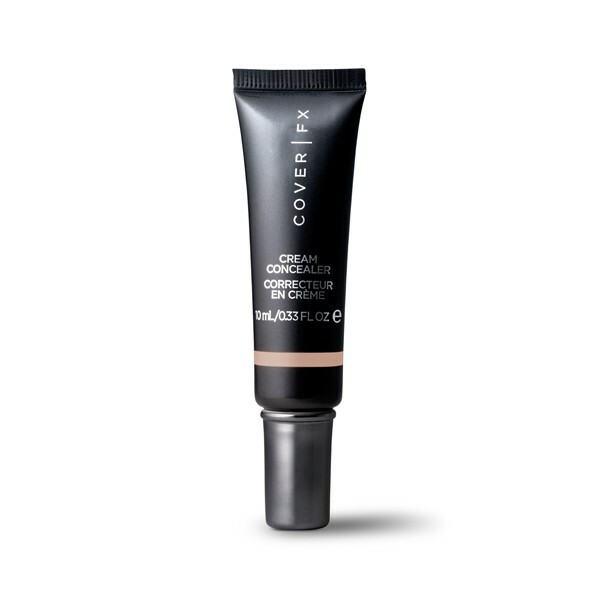 In fact, this concealer has reportedly helped 86% of users achieve better overall skin conditions in as little as 2 weeks. 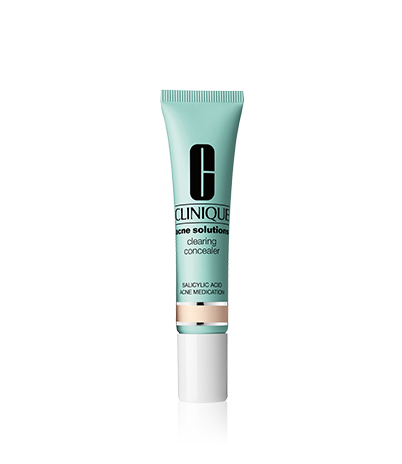 Long-lasting coverage and improved skin free of breakouts? Yes please! Just 21 dollars. What do we love about this particular concealer? The maximum coverage it provides for even the worst skin imperfections. From rosacea to redness, under eye darkness to acne scars, Dermablend Smooth Indulgence SPF 20 Concealer has you covered. Not to mention this wonderful product is infused with SPF 20 sunscreen to keep your skin hydrated and protected from the skin. Long lasting wear gives you soft, silky smooth skin for up to 16 hours- and what lady wouldn’t want that? 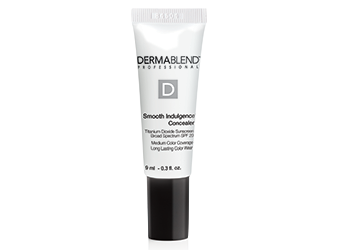 Fight off acne and give your skin the protection it deserves with Dermablend Smooth Indulgence Spf 20 Concealer-only 22 bucks! Jane Iredale Zap&Hide Blemish Concealer; does the product really need any explanation? It’s really rather simple. 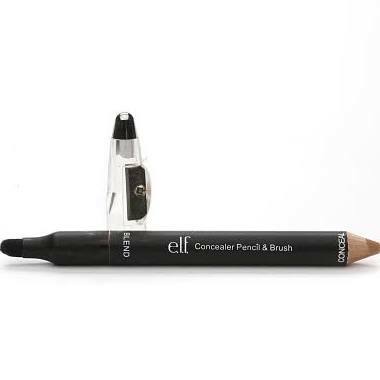 This concealer has the power to zap blemishes in a matter of uses and hide them instantly. Women proudly state that this product works as an ‘unbeatable breakout treatment’ while providing full-fledged, long-lasting coverage that couldn’t be beat. From the product reviews, we’re thinking this concealer is a miracle worker that every woman should try. For around 26 bucks, you can’t beat it! Providing a beautiful and flawless finish, this oil-free concealer has proven itself to be one of the best drugstore concealers on the market. Nine different shades easily blend and match your skin tone for a gorgeous, natural looking finish that is free of any imperfections. With a unique combination of Vitamin E and Vitamin B5, this product nourishes the skin and gives it the refreshing, youthful, and vibrant look every woman craves. 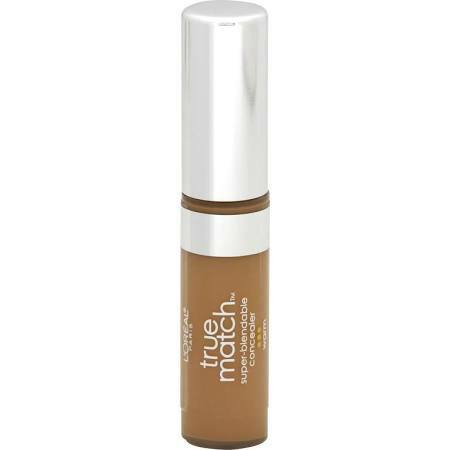 With 4 out of 5 stars, L’Oreal True Match Super-Blendable Concealer is a steal for only 9 dollars. Give it a try! You’d be surprised how effective this concealer is. Just because a product is one the cheap side doesn’t mean that it isn’t incredible. And with 4 and a half stars out of 5, results don’t lie. E.l.f. is definitely known for their incredibly cheap products with quality that can stand up to the high-priced pieces, and their E.l.f. Cosmetics Concealer Pencil & Brush is definitely one of them. This handy pencil and brush makes it easy to apply on-the-spot treatment to all your blemishes, while the salicylic acid and tea tree oil combination works to medicate and destroy them while preventing any future breakouts. Wear it underneath your makeup for a gorgeous finish you can be proud of, and notice a serious decrease in acne breakouts. We can’t believe this sensational little piece is only 3 dollars! Wow. 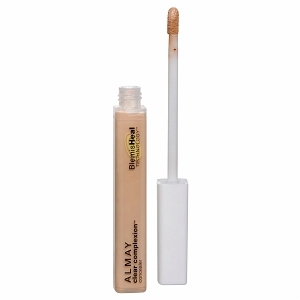 Almay Clear Complexion Concealer certainly sets itself apart from the rest, and it’s not just because of the even complexion it provides. This particular concealer comes complete with enough salicylic acid to fight off even the worst breakouts with ease- but that’s not all. The inclusion of aloe and chamomile soothes skin while also reducing overall redness. This means you no longer have to worry about dry, aggravated, or irritated skin- just basque in the silky smooth, acne free skin you’ve always dreamed of having. We definitely give this concealer two big thumbs up and think it’s definitely worth a try, especially seeing as how it’s only around 6 bucks! What a steal! When you have acne, you have to be extra careful with what products you use, from your face wash to your foundation- and even your concealer. These concealers have proven themselves to be the best on the market, each one bringing their own features to the table. Whether you have dry skin that needs the healing benefits of aloe and chamomile found in Almay’s Clear Complexion Concealer or you need a concealer with anti-aging benefits like the Cover FX Cream Concealer, you can feel confident knowing your skin is getting the nutrients it needs- and best of all, the acne fighting power that you crave. Ladies, what is your favorite concealer?